For the purposes of this article, auto-regulation refers to adjusting each training session based on the athlete’s capacity that day. There are multiple ways to implement auto-regulation. This article covers the method of simply programming a “Heavy Set” at a prescribed number of reps.
You can prescribe the desired loading without testing your athlete’s 1RM. It allows for significant flexibility in training load based on how the athlete is feeling and performing that day. It can be used for a group of athletes with widely varied training histories. Athletes who are ready to make quick progress are not restrained by prescribed loads and athletes who are struggling are not forced to use excessive loads. The movement needs to be clean and smooth. There should be no hitching, grinding, or uneven movement. Never sacrifice positions for the sake of moving weight. Intensity: refers to the peak or highest intensity work. For our purposes, intensity can be defined as percentage of 1RM. Volume: refers to the total Sets x Reps x Load. This is a means of expressing the total of work completed. Volume is an important component of training and should always be a primary consideration. Progressively building volume and intensity must be managed because the body requires time to adapt to increased demands. 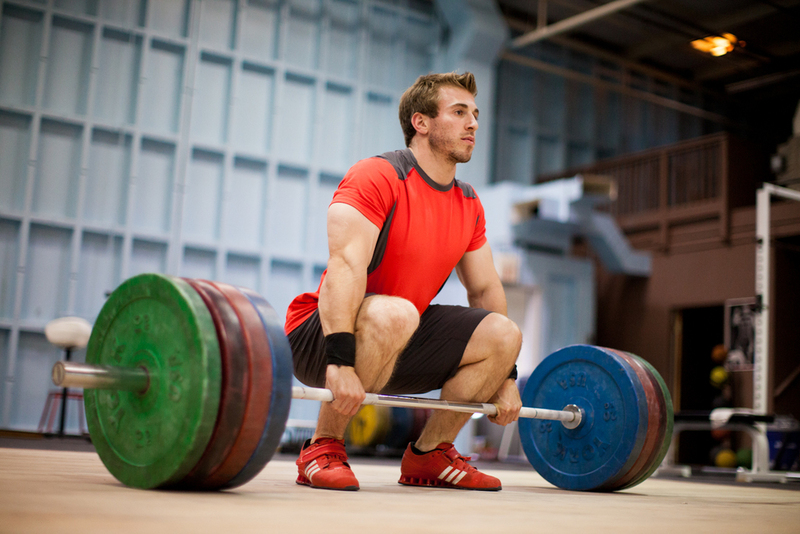 Sets and reps will look very different for Weightlifting as compared to Powerlifting or Bodybuilding. The Weightlifting movements are bigger, more complex and metabolically taxing, when compared to the movements of other strength sports. Due to the differences between lifts and training objectives, the appropriate number of reps will vary. 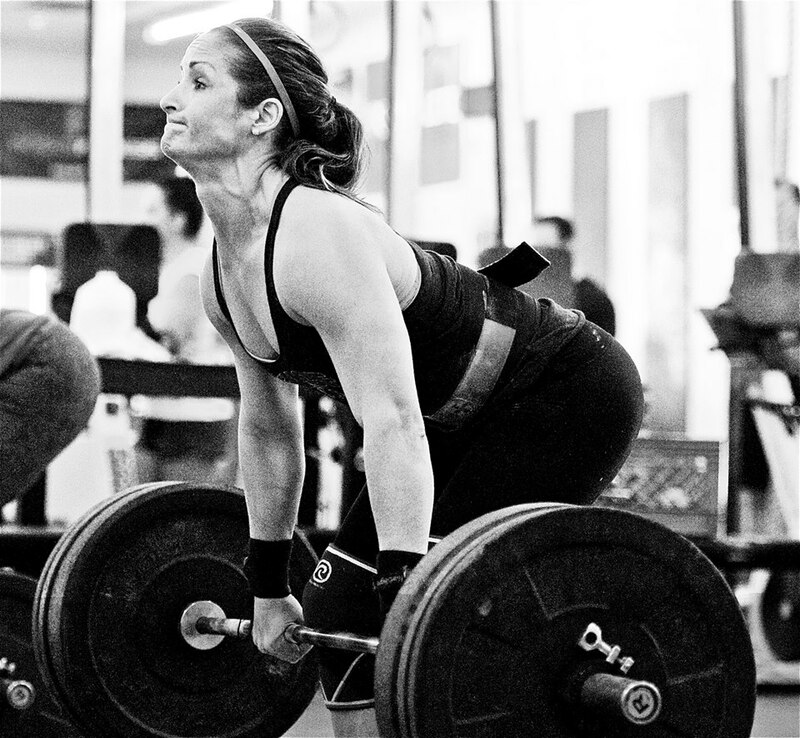 Generally, when training the competition lifts for Weightlifting, sets will rarely exceed three reps. If the intent is to build work capacity and a foundation for strength, it is important that the athlete complete several working sets prior to the “Heavy Set.” Athletes should be instructed to make consistent increases in weight and perform the prescribed number of reps for all sets. This is an example of “Straight Sets Building.” In other words, all sets are completed at the same number of reps (in this case 8), and the weight increases with each set. This structure allows for the majority of energy to be focused on the “Heavy Set.” It tends to be less effective for building work capacity and is more effective for peaking or testing. In the case that the “Heavy Set” of 8 was completed at 300lbs, the Volume Sets would be completed with 270lbs. A “Heavy Set” of 8 should be approximately 80% of 1RM. There is room for significant variation, but we’ll go with it for the purposes of this example. *Exact numbers will vary based on training history, level of fatigue, and genetic predisposition. Still, these figures are useful for approximating the appropriate set, rep, and intensity prescription. 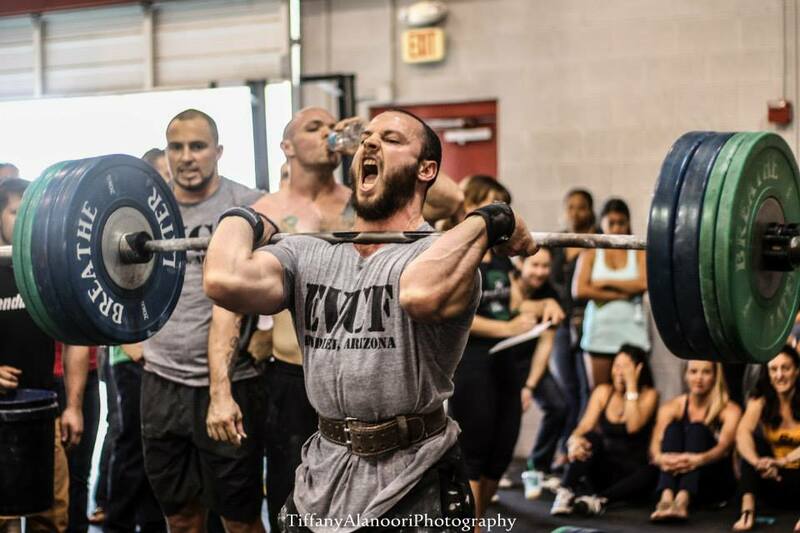 In a scenario where 300lbs is 80% of 1RM, the 1RM is approximately 375lbs. 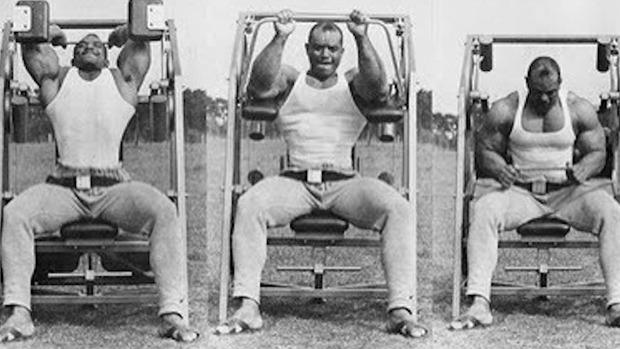 The “Volume Sets” are completed at 90% of the “Heavy Set.” The heavy set was 300lbs, thus the “Volume Sets” were completed at 270lb or approximately 72% of 1RM. The intensities for these sets are based on the “Heavy Set.” Because the “Heavy Set” isn’t a “Max Effort” set and is typically more than a single rep, it may be more difficult to estimate prescribed percentages when starting out with this programming method. In time, the coach will develop an intuitive understanding of the relationships between the “Heavy Set” and the “Volume Sets.” Until this time, it is important that the coach calculate these ratios. This will ensure that the coach is prescribing the intended intensities and will help develop deep understanding of the relationship between intensities. *This table can be helpful because percentage of 1RM is commonly used to calculate programming. *Note that the intensities are lower when training for power. In order to train for power, you must move the bar fast. Too much weight slows the bar and disrupts the power output. The volume sets are performed within an effective range for training power. Build to a heavy set of 8.